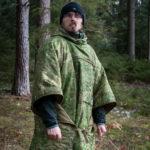 Regular readers of mine, as well as followers on Facebook and Instagram might know that I got hold of several camouflage uniforms this year – courtesy of Helikon Tex. With this means available to me, I was able to shoot several comparison pictures throughout the year. With the following review I want to show you some of the material I was able to accumulate this summer. 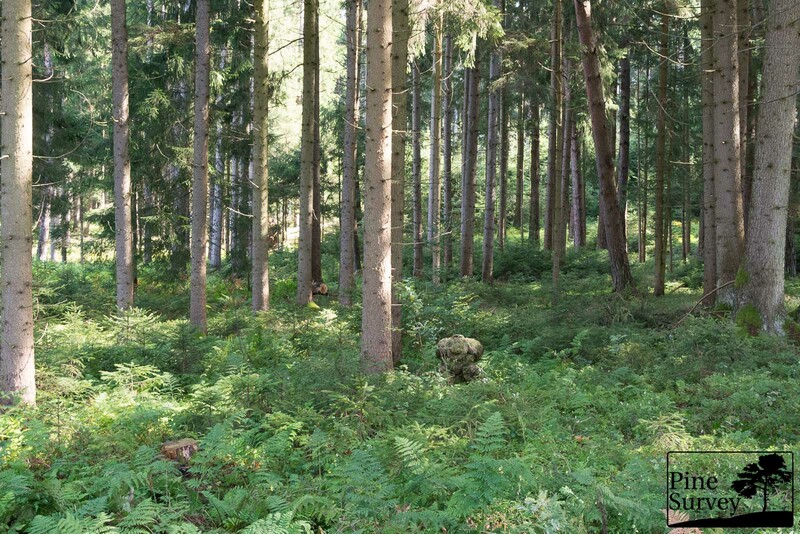 This time I want to focus on four different camouflage patterns that were designed for temperate and woodland environments. The particular beauty in this review is not only the possibility to compare these four patterns, but also take a look on what has changed throughout the decades. 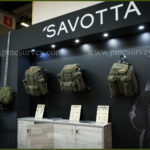 The reason I am writing this is because I can show you and compare two modern patterns (Kryptek Mandrake and PenCott Greenzone) and two old – or let’s say oldschool – patterns (US M81 Woodland, and PL Woodland aka WZ93). As always I would like to make a few points clear beforehand. I do not claim any scientific standard with my camouflage comparisons. Also, I conduct them with my best knowledge and the available resources. Since I am no member of the military or any MilSim/Airsoft group, I do not have matching gear and weapons at hand. 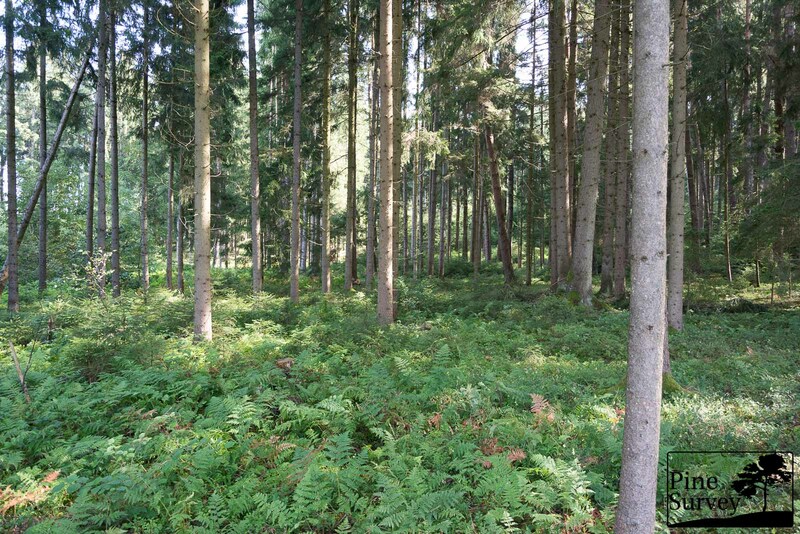 The pictures were taken at the same location I always use to make my woodland comparisons. That way you can compare the various field tests I have done so far with each other. As always I photographed with a wide angle lens at first and then with a 35mm zoom which mimics the actual picture the human eye would perceive at this distance. Having in mind the three different positions mentioned before, I ended up with 6 pictures of each pattern. Differences in the brightness of the pictures were the result of changing clouds and sunlight at site, and not because of any editing on my part. Since this is at much closer range than the semi arid comparison I will call the patterns by their name, as they can be identified by the educated viewer anyway. Starting with Kryptek Mandrake you can clearly see that the pattern breaks up the silhouette with its macro elements and the net structures, which are meant to create a 3D effect. The colors of the pattern are more on a greyish scale with green elements. Because of this the pattern blends in more with the tree trunks instead of the green vegetation around. At the same time the midi elements are creating a more layered appearance. The color choice is not necessarily bad in this particular situation and at longer ranges. 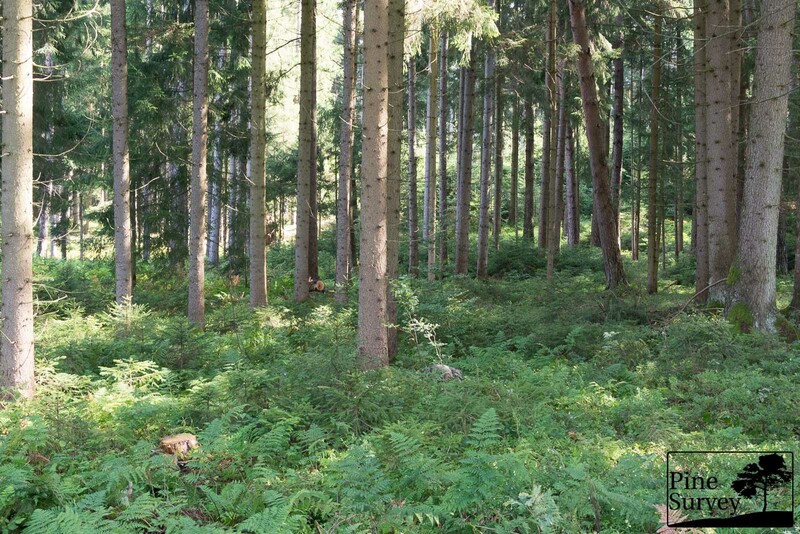 M81 Woodland has a similar effect: While being much darker than the other patterns, its colors are matched to the European forests. At mid- and long ranges, the macro elements break up the human shape quite effectively, while at the same time matching the surrounding colors of the vegetation. 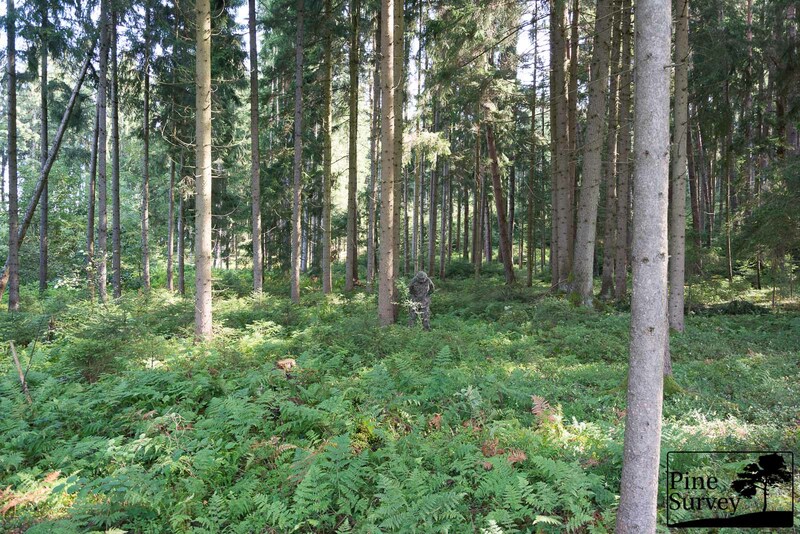 Looking at the next pattern – PenCott Greenzone – one has to acknowledge the midi and macro elements and the matching colors for the surroundings. While M81 Woodland is much darker, the greens and browns of Greenzone are much better dialed in for this particular environment. The midi elements result in a more organic look and are creating more depth and layers – as was mentioned earlier with Mandrake. PL Woodland, or WZ93 consists mainly of midi elements and a very muted color palette. You can find the same impression as with Kryptek Mandrake: that it is more orientated on tree trunks and not green vegetation. The midi elements are barely visible but are still creating a checkered appearance, breaking up the shape. If you take a look at the same patterns with a 35mm focal length, then some of my previous statements get more clearer. The net, as well as the midi and macro elements of Kryptek Mandrake are more visible now and you can see how they are breaking up the human shape. At the same time the color palette is partly not matched to the forest vegetation making it stand out more than one might think. Since the colors are muted, it still blends in quite effectively. M81 Woodland has a different issue. While the colors are really well matched for the forest, at close distances the macro elements are just too obvious and create a more unnatural look in comparison to the other patterns. It blends in, yes – it breaks up, yes; but if you look at the other patterns, you just realize that something is off, which makes you look twice. PenCott Greenzone was a little bit in a disadvantage in this particular picture, since it was the only time you had direct sunlight on the pattern, while the other three were under indirect light. Nevertheless you can see the macro and midi elements breaking up the silhouette and creating organic shapes, even at close range. In comparison to the other patterns this is done more gradually and not abruptly. 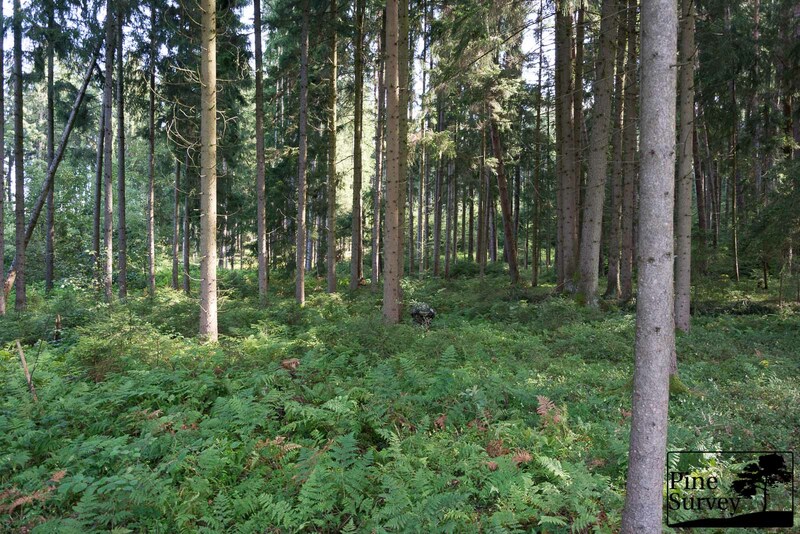 Coming to the fourth pattern, PL Woodland, you can see the midi elements now, which were barely visible at the wide angle shot. Up close it breaks up the silhouette more clearly than on a longer range, but at the same time the colors and the muted appearance remind more of wood rather than of green vegetation – this might come in handy in changing environments where you need to blend in as backdrop. The kneeling position is always the moment, when it gets interesting. Standing in the open is always a dead give away, so the moment you minimize the human shape and start to get into cover, the real use of the patterns starts to show. At this point only subtle differences between the four camouflage patterns can be spotted from a longer distance. Kryptek Mandrake profits from its macro elements and the muted colors. 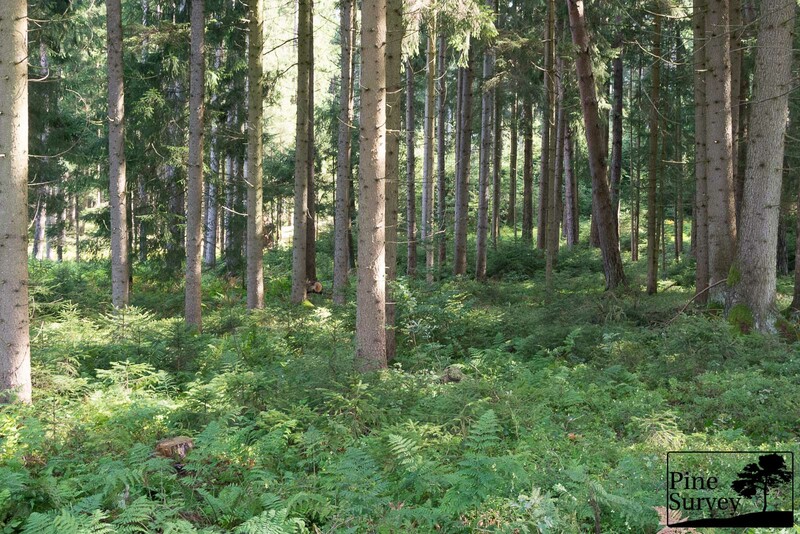 As you can see from the picture, the human shape is not visible anymore and the pattern elements in combination with the colors blend into the surroundings. 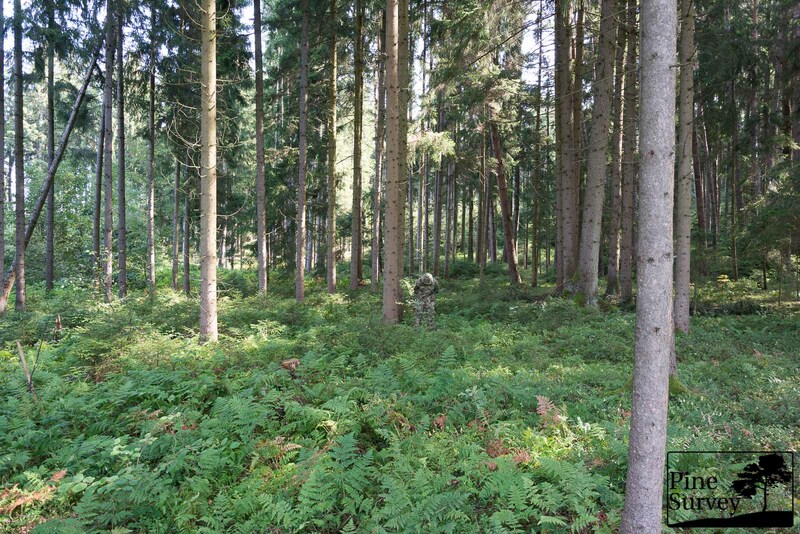 The same can be said about M81 Woodland with the exception that the darker colors of the pattern make the silhouette stand out more than with the other patterns. Other than that the green color blends in perfectly with the vegetation around. PenCott Greenzone blends into the surroundings using its macro and midi elements, as well as the matching color palette. Since it is not as dark as M81 it does not stand out as much and fades into the vegetation. The muted colors of PL Woodland in combination with some basic undergrowth make the pattern more practicable than some people want to give it credit. 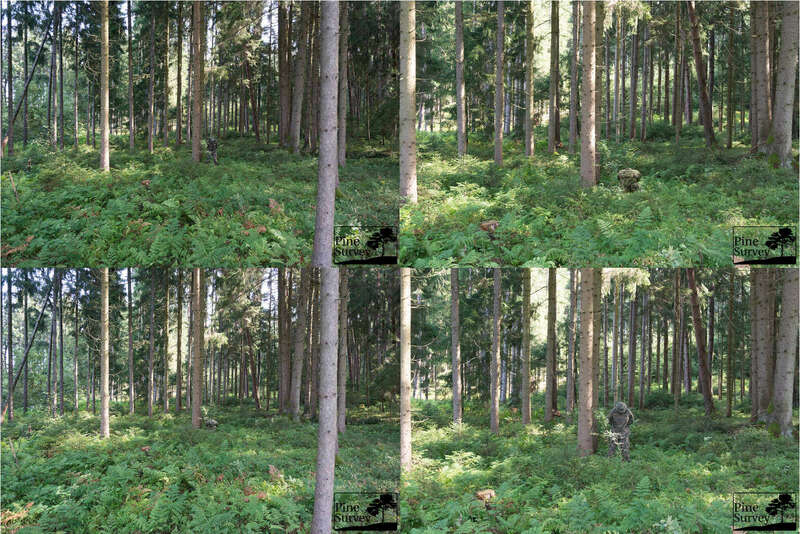 Just as the other three camouflage types, it blends into its surrounds as soon as you minimize your shape. Taking a look from the human eye perspective one can get a better impression on how the patterns work. At 35mm focal length more details on the patterns are visible, even though I am in a kneeling position. While you cannot make out much of the macro elements of Kryptek Mandrake, the changes in the muted color palette break up the shapes of the torso. The silhouette is not blending into the vegetation however, since the colors are not matching entirely. As mentioned before the green and tan colors of M81 Woodland blend in much better, but the macro elements and the dark shades make it stand out more, since you focus on the black shapes first. Nevertheless one realizes why M81 Woodland is still being put to good use worldwide. PenCott Greenzone blurs the silhouette into one unhuman shape. Again – colors and macro, midi and micro elements create an organic appearance, which blends into the surroundings. PL Woodland had the misfortune of some direct sunlight, although you still get the idea of what I have mentioned above: the muted colors and midi elements make up a good backdrop effect which you can use behind concealment. The prone position is basically the hardest to show and describe, since the human shape disappears as soon as some basic undergrowth is available. Especially at this site, you have lots of vegetation you can dive into, so basically all the patterns work and show only minor differences since there is plenty of vegetational concealment involved. Kryptek Mandrake: you can only identify the person, because you know it is there and also because there is a greyish, or brighter area at the spot where I took the pictures. No elements of the pattern are identifiable. M81 Woodland: The same situation, only that the area is darker and not brighter. Some elements of the macro pattern can be seen, but if there is a shape, it is broken up. PenCott Greenzone: This pattern completely vanishes at the ground floor. No pattern visible, or any shape. 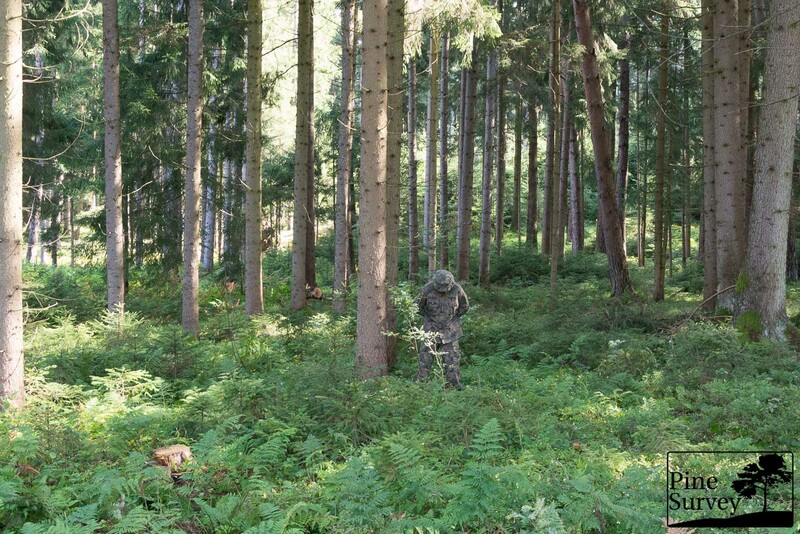 PL Woodland: There is a shape visible, but at this distance it looks more natural than Kryptek Mandrake or M81 Woodland. At 35mm focal length you get more details on the patterns and human shape, but the findings are the same. Kryptek Mandrake: Because of the colors, a silhouette is visible, but does not appear as a human shape. The midi and macro elements in combination with the greyish color palette give the impression of a rock on the ground floor. 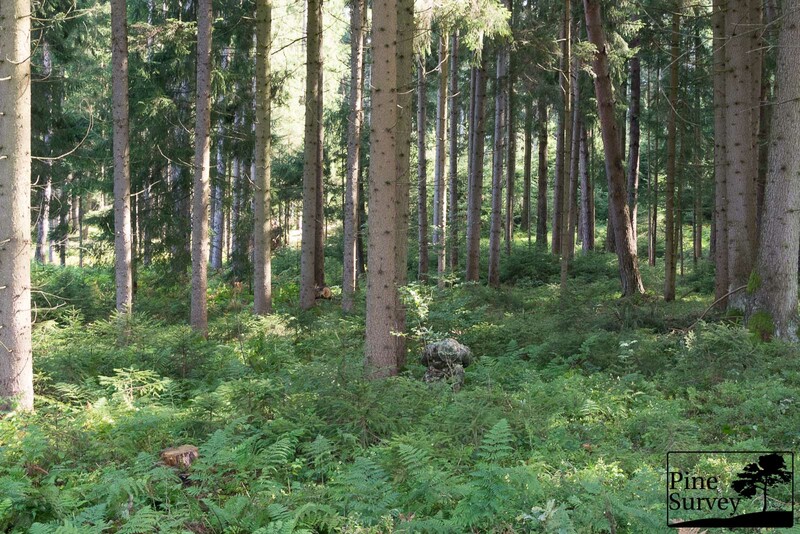 M81 Woodland: As mentioned before, the macro elements are visible. At this range the pattern comes last to the others, because as soon as you have identified it, you know that something unnatural is lying there – here it just looks like a piece of tarp, or fabric. PenCott Greenzone: At this range you can only see the boonie sticking out a bit, and only because the foliage ring is made of coyote webbing and stands out. The rest of the body is concealed. PL Woodland: Same situation as with Kryptek Mandrake. The colors make it appear as if a rock or wood trunk is lying on the floor. So no vanishing act as with PenCott, but a natural appearance, which blends into the surroundings. Having in mind that all of the compared camouflage patterns are designed as temperate woodland patterns, one has to acknowledge that differences between them in the field can be subtle at best. Nevertheless it was interesting to see these differences between the modern designs of PenCott and Kryptek, versus the old(school) versions of M81 and PL Woodland. PenCott and Kryptek are good examples on what you can accomplish if you not only stick to macro or midi elements, but combine them and add micro elements to it. The PenCott patterns managed to convince me in this regard for good reason – which should be no surprise if you take a closer look at my blog. Especially when it comes to close quarters and distances, the macro, midi and micro elements of the PenCott family provide the most convincing results so far. At the same time the old patterns show, that they are more effective than some people want to admit. Especially M81 Woodland has proven to be quite the surprise in my personal trials this year, even though it has its disadvantages at close range. 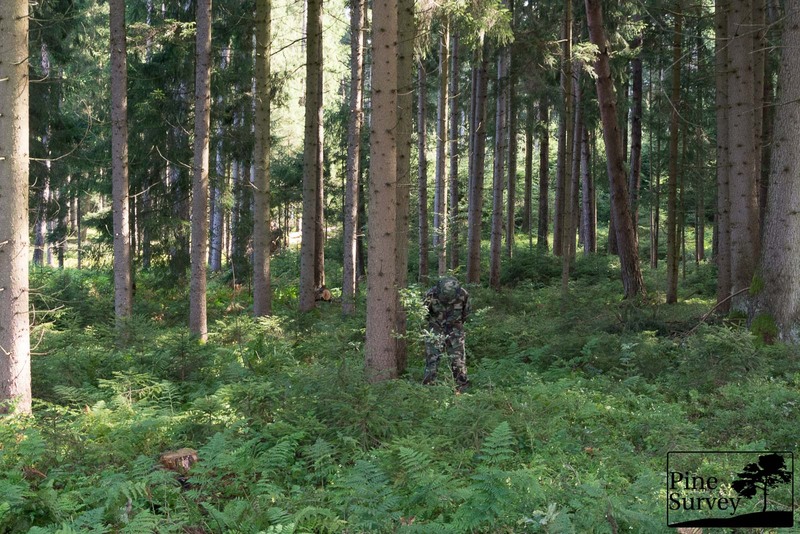 In the end, arguing which pattern is best has no point, since all of the compared camouflage patterns did a decent or very good job in concealing. Nevertheless one has to acknowledge that camouflage has come a long way, and you can see it with the new patterns on the market. As always, it is about personal expectations and – especially in this regard – one might often get the impression that most people think that having the right camouflage is equal to having a “predator” style cloaking device, which makes you vanish in thin air. 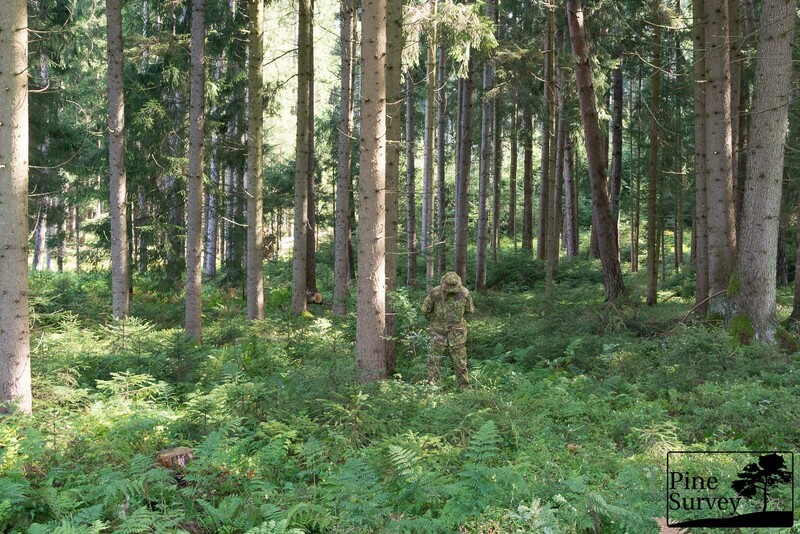 But there is more to camouflage than just putting on an uniform. And as long as Mr. Cramer doesn’t share his Quantum Stealth technology with the general public, camouflage patterns will do their job in helping to conceal and/or delay identification. With that being said I will come to an end. Thank you for reading – as always I hope it was worth your time. Many thanks to Helikon-Tex for providing me with the means to give you this comparisons – the uniforms used are CPUs and SFUs.